Whether it’s the roof of your house or your commercial establishment, Florida roofing contractors are there to help you anyway. Being the owner of a business you know it well, how much your commercial house means to you. Today, there are several commercial roofing companies mending roofing issues with ease. The concept of commercial roofing differs from that of residential roofing because the preventive measures and the roofing solutions widely. The commercial house is not always built of the same material as that of a residential building and that is the reason why roofing contractors choose different solutions to mend faults with the roofs. The contractor often finds himself in a fix while choosing the right material of a commercial building. He has to consider the maintenance cost of the roof along with the cost of the material to be used for the cause. Availability of the material is also a serious issue for the roofing contractor. 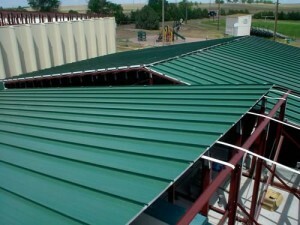 Owners of commercial establishment often choose polymer membranes to make the roof water resistant. The synthetic roofing solution is a durable and a cost-effective solution for homes as well. In most cases it has been found out that asphalt and glass are the most popular materials chosen for such reasons. Shingles, which are the commonest solutions for roofing issues are placed in an overlapping manner so as to avoid water and other unwanted fluids of getting accumulated on the roof. If you look around at commercial buildings you will also come across many of them bearing roofs made of metal. Metal roofs are energy savers and are cost-effective and durable alternatives to shingles. Roofing experts choose metal roofing solutions over others because they can last up to 30 years. Moreover they are capable enough in withstanding heat and ultraviolet rays of the sun thus causing less damage to your home.